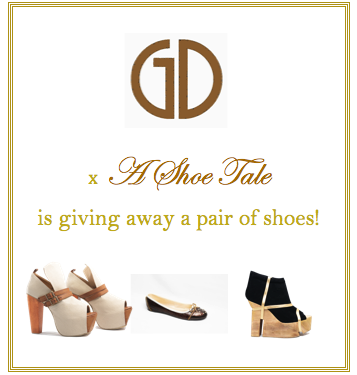 The very pretty Vern Enciso is having a giveaway over at her blog, A Shoe Tale, and it's for a chance to win - OMG! - Gold Dot shoes. The mechanics are super easy, too. Just click here to find out more.